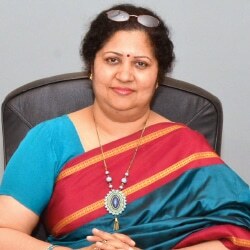 At Vidhyashram International School, we equip learners with knowledge, skills, attitudes and values to establish themselves and contribute positively to the world as progressive and responsible citizens, says Dr Bharti Swami, Founder Principal, Vidhyashram International School, in conversation with Elets News Network (ENN). What are the various projects undertaken by the school to introduce teachers and students with the best global practices? The school has undertaken projects pertaining to digital learning which include implementation of “Moodle” in curriculum planning and teaching in the classrooms by the teaching staff. The school has specific projects to incorporate spoken English which is key to teaching-learning process at Vidhyashram in a predominantly Hindi-speaking belt. Apart from subscribing English newspapers, periodicals and books, we have a language lab equipped with audio aids. We have an e-library from where staff members and children may subscribe online books and periodicals through Kindle App. The school has been awarded the British Council International School Award (ISA), which is a benchmarking scheme to recognise and celebrate exemplary practices of internationalism in schools. We are still a part of the project and various activities are carried out in the school at national and international level. 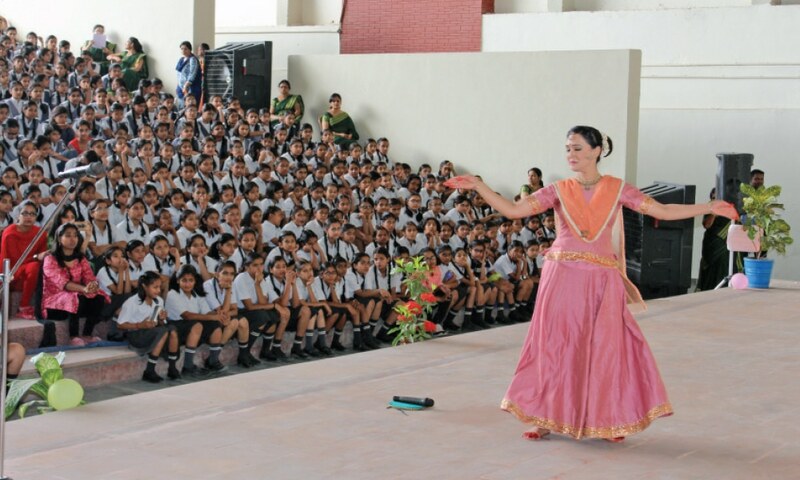 The school has also been a part of Sri Sri Ravi Shankar’s “The Art of Living”. The project is guided by Gurudev’s philosophy of peace and has touched the lives of over 370 million people around the world to overcome stress, depression and violent tendencies. Recently, we have joined hands with Rakesh Nihal, who runs “Gau Samvardhan Ashram” and is dedicated to saving the Indian cow breed. The school also conducts regular motivational workshops by Srikant Gupta, Director, IICS, to help children evolve with confidence and consciousness. The school has been awarded the British Council International School Award (ISA), which is a benchmarking scheme to recognise and celebrate exemplary practices of internationalism in schools. It is important to monitor progress performance and behaviour of every student at school. What initiatives have been taken by your school in this regard? For us, each and every child is important. We maintain a record of graph of the academic performance of every student. A detailed result analysis is done after every test and a corrective action plan is undertaken for the academically weak students. 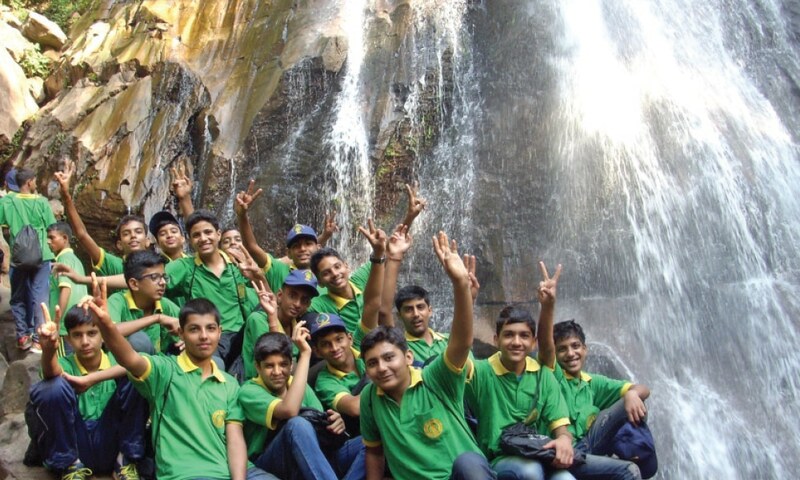 Children with discipline problems are regularly counselled and remedial classes are held for these students. Along with this, we have a concept of identifying best performing students every month to encourage other students to perform the same way. Conducive environment for Research and innovation is to be encouraged in the school for becoming a model school. What future practices and innovations are embedded with the teaching-learning process in your school? Provision of conducive environment for teachinglearning process is one of the most important responsibilities of a school. At Vidhyashram, we promote blended learning that combines online digital media with traditional classroom methods of teaching. Moreover, we have also adopted flipped learning, wherein the model of the typical lecture and homework elements of a course are flipped/reversed. Students view short video lectures at home before the class session, while the class time is devoted to exercises, projects or discussions. Besides access to Internet, where the teachers can explore, experience and search for best available teaching material, the school also uses MOODLE which is a learning management system. It has further facilitated the choice of content selection from various online and offline resources. School also uses FLINNT app which is a common platform for communication with parents. Students also get a chance to access some useful courses through this app. Students will be provided free access to online content at all times to assist self-paced learning. Which software do you use to end paper work and promote digitisation in the school? Vidhyashram believes in transforming traditional classrooms into engaging, learner-eccentric environment by integrating state-of-the-art technology, infrastructure and professionallydeveloped multimedia learning modules. We are among the best digital schools of 21st century. We believe in global citizenship and paperless communication. ERP software is used to generate reports and results of the students periodically, making the system almost paperless. Our classrooms are 100% digital where e-pathshala, extra marks, teach next and other online modules are used through “Moodle” by all teachers. The entire curriculum planning and question paper generation is computerised. We use Google for education and all the staff members, students and parents are connected through Flintt App SMS alerts are also generated integrally to pass the information and circulars. Provision of conducive environment for teachinglearning process is one of the most important responsibilities of a school. At Vidhyashram, we promote blended learning that combines online digital media with traditional classroom methods of teaching. 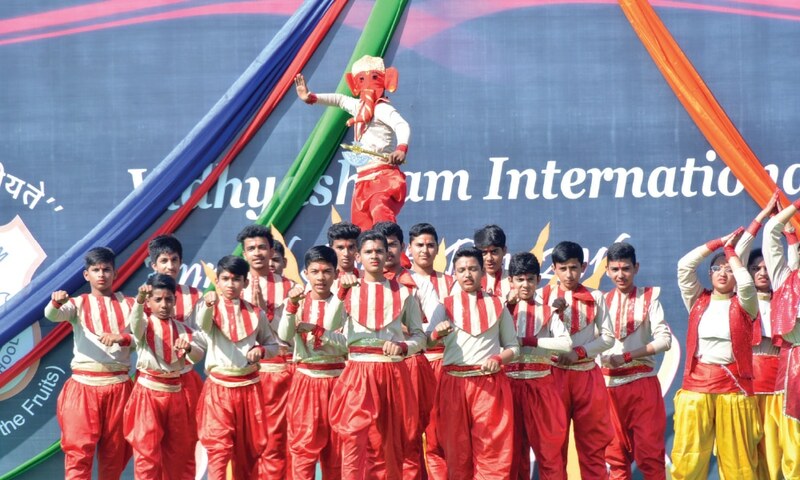 Vidhyashram International School was conceived with the vision “to be the most admired school by creating adults of tomorrow who are progressive, caring and who will contribute positively to the world’s society for peaceful coexistence and mutual growth”. The mission of the school is to provide an environment for teaching-learning process to produce humane world leaders of tomorrow who will excel in the areas of their chosen fields and facilitate them in identifying their potentials. 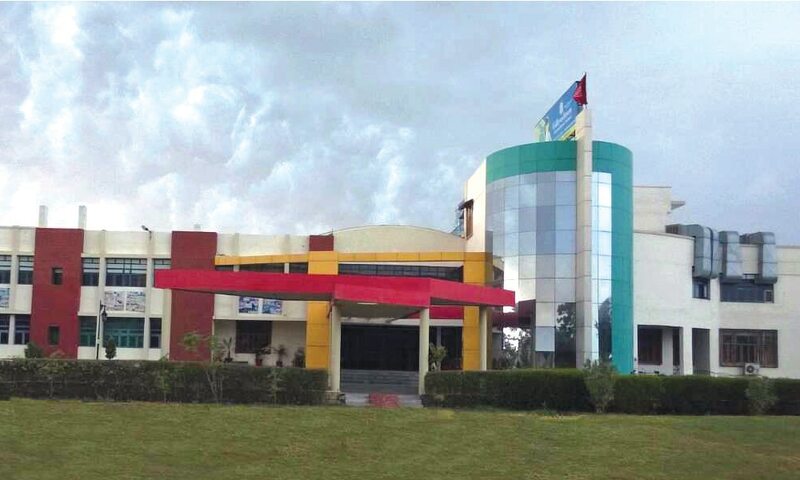 The school started its journey with only 450 students but the tenacity of Chairman Vinay Kumar Jain, the progressive approach of Director/ CEO Gaurav Jain and the selfless dedication and expertise of the Principal Dr Bharti Swami has led the school to such a formidable stature. 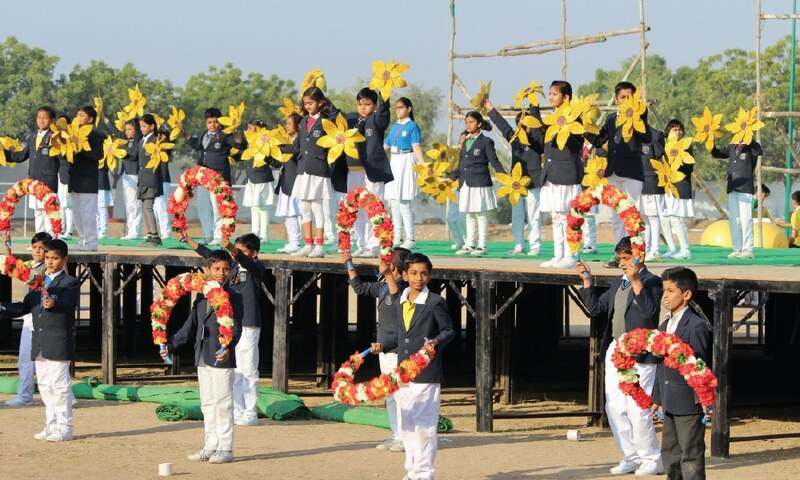 The school has been successful in grabbing the attention of multitudes of future conscious families ever since its establishment. 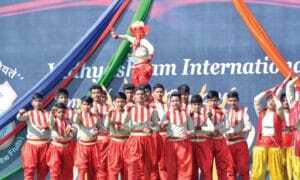 The school believes in perfect amalgamation of the ideals enshrined in the culture of our nation and values of global citizenship. The institution has emerged as a temple of education in and around Western Rajasthan. MOODLE Learning Management System which has been developed on pedagogical principles. It is used for blended learning and flipped classroom projects. It gives teachers a choice to explore, select and imbibe the best content available both online and offline. On the other hand, students are exposed to a variety of content which makes learning interesting, exhaustive and engaging. The school is also using Flinnt, a communication and learning platform with the help of which parents and students are updated about home assignments, school circulars, subject worksheets etc. Students enrolled for English, science and mathematics courses are provided practical knowledge and assessed at the same time through tests. 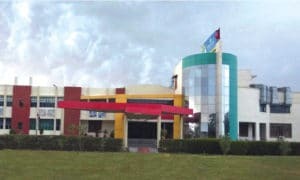 Vidhyashram is also registered with Google for education and its various tools are used for educational purpose. Consequently, the school has received Elets World Education Award 2017 for usage of ICT.